It begins with a vision in 1984. The founding members of the Hospice were Lord Cavendish, Reverend Nick Gosswin, Margaret Berry and Clarissa Kavanagh. It was their vision that inspired a hospice in South Cumbria and just four years later, in 1988, they had mobilised a generous community to raise £600,000. St Mary’s Hospice was born. The first major obstacle was that St Mary’s needed a home, in the heart of the community. One of our greatest patrons in those early days was Bob Wright, a prominent Ulverston shopkeeper. 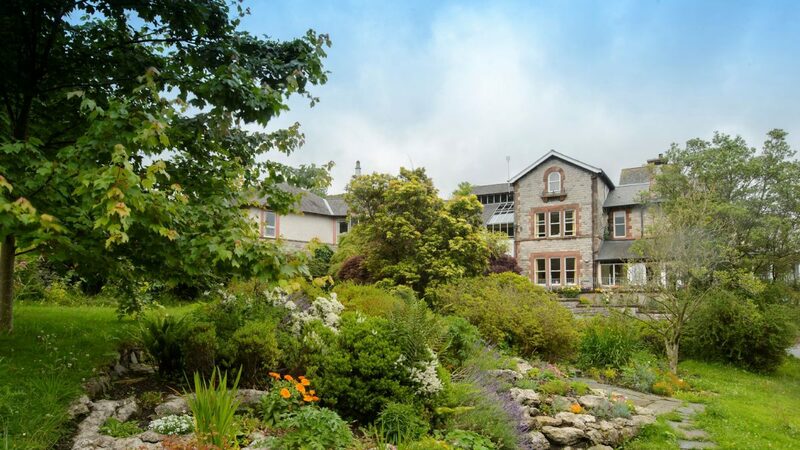 It was through his generosity that the Hospice took on the premises that we still occupy to this day; a large Victorian house on the outskirts of Ulverston with ample grounds and potential to grow our facilities. Bob would go on to leave significant funds to the Hospice in his will and we will always remember his generosity. Without it, there can be no doubt that we would not be where we are today. There are also many others who played their part in those early days. We remember the tireless carers and volunteers who supported the original facility, the converted house offering six inpatient beds and room for a further 35 day patients. Our original matron, Joan Pollit, was a key influencer of what followed. She wanted patients to “live for the moment” and find joy even in the most challenging circumstances. This is an ethos that we continue to follow today. Through the hard work of men and women like Joan, the Hospice continued to grow and thrive. Benefitting from a rising reputation for first-class care, by 1995 the Hospice had seen almost 1,500 patients come through its doors. With demand steadily rising it became clear that the original vision of the Hospice would need to evolve. The local community were called upon again, and once more they responded to the challenge with a huge fundraising drive. 1997 saw the completion of our modern inpatient facility, with an increased capacity of nine beds and the exceptional facilities that our patients and their families have come to appreciate in difficult times. To commemorate the historic step forward, a time capsule containing messages of support and memorabilia was placed in the foundations, reinforcing that the past has been the bedrock on which the future of the Hospice was built. Today St Mary’s Hospice has grown to be one of the largest charitable organisations in South Cumbria. With running costs of £3.2million per year, nurses, caterers, carers, gardeners and volunteers of every kind are needed to keep the Hospice vision alive. We continue to rely on the generosity of the community today just as much as Reverand Nick Gosswin did almost 35 years ago. Thank you for everything you do to support us. We’re proud of our story, but the work continues. We want to follow the example of those who came before. We want to leave the Hospice stronger than when we found it so that future generations can benefit from the same facilities that we have. It’s time to write the next chapter of our story. And we need your help. Find out how you can continue to support us in our 30th year.